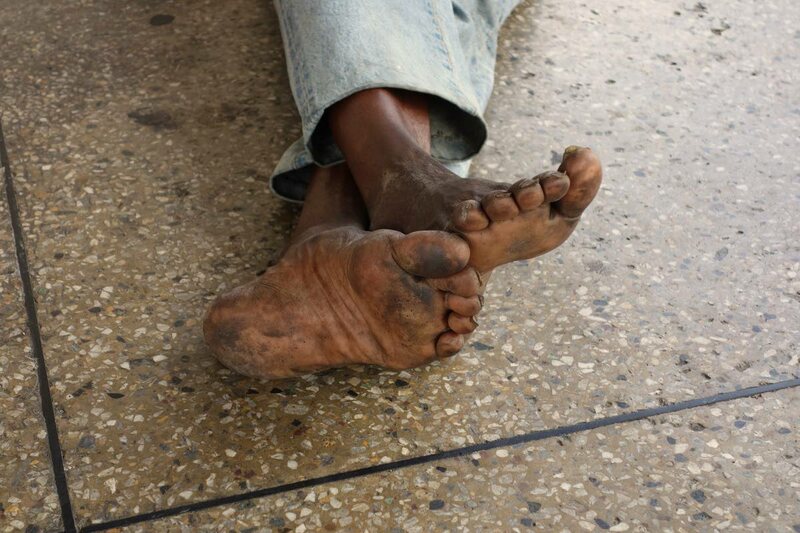 Louis Lee Singh's Dirty Feet, from the State of Neglect collection. As you enter off the pavement on Gatacre Street into the sanitised space of CHI Studio, crossed over at the ankle, directly in your line of vision, bare feet greet the eye. Unkempt, blackened, cracks etched into the skin, the image is unsettling. The image is incongruent in this space. This is not the pretty picture that we expect of an exhibition. This is a reality from which many of us who visit the studio are disconnected but a reality that exists nevertheless despite the absence of our eyes. And so the photographer forces these absentee eyes to confront the image in this 27x40 inch photograph. It is not an unfamiliar sight. Feet like these lie just around the corner. But to many of us, the people to whom these feet belong may as well just be another fixture on a sidewalk that we pass by as we go about our daily activities. Juxtaposed against the high rise buildings of the city, against the business suits, against vehicles, these feet become invisible, walking, roaming the landscape with a dignity of their own. The streets are as much their reality as it is ours. We all walk similar paths yet, the condition of this pair shows another experience of life. It is a request, albeit a forceful that the photographer Louis Lee Sing makes, to at least consider the human condition in its many versions. At the Art of the Image photographic exhibition, the works of the nine photographers on display since July 25, force the viewer to consider alternative uses of photography. It also challenges the viewer to look closely. In each artist’s collection there is a large show stopper, accompanied by smaller prints that require the viewer to lean in closer, encouraging a meditation on each piece. The curators Reah Lee Sing and Turunesh Raymond, two painters in their own right, seek to highlight the artistic side of photographic work. While many of us are familiar with commercial photography, this exhibition is meant to expose the audience to the photographer as artist, people who, through their camera lenses show us not only the beauty of the world but the unseen as they see it. The images at this exhibition straddle the lines between commercial and serious commentary, soca and jazz. They bring to us slices of the world that dig deeper into social, political and cultural issues. Sarita Rampersad’s collection, Unseen Grace for instance, is similar in its thrust to that of the Romantic poets who extracted and highlighted the dignity and grace in the common man. 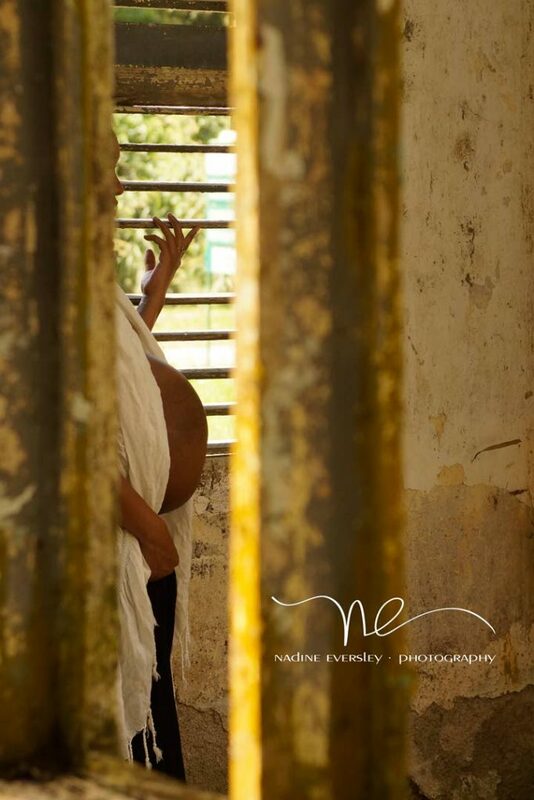 In Rampersad’s work one finds a sensitivity to the human condition. 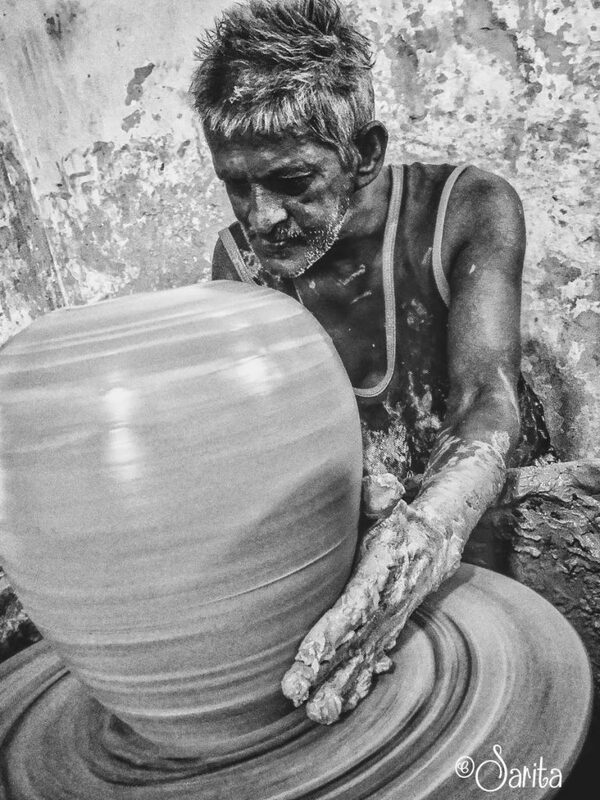 Her subjects range anywhere from the homeless, to an old potter, silent and focused, the only sound, that of the clay pot spinning. There is an overall silence in many of her photographs in this collection. Her subjects themselves are engrossed in their own space and time, imbuing even the most mundane activity such as pulling seine with a creative flow. Composition and light add depth in no small way. Reply to "Art of the Image: The Photographers’ Eye"